Doggy Stylz Pet Grooming is a newly designed, modern grooming facility conveniently located in the heart of Parkland, FL. We are family owned and operated and are dedicated to providing a friendly staff and professional environment to you and your pet. Our beautiful and clean facility is somewhere that you can rest assured that your furry friends will be comfortable and well taken care of by a staff whose sole passion is for animals. As well as being comfortable you can be assured that your pet will be pampered with the best shampoos and most caring hands possible. Also, being a salon we are able to make sure that while you may be gone during the day your pet is under watchful eyes until you return. Those of us at Doggy Stylz look forward to giving you and your pet a personalized and enjoyable grooming experience that you will not forget. 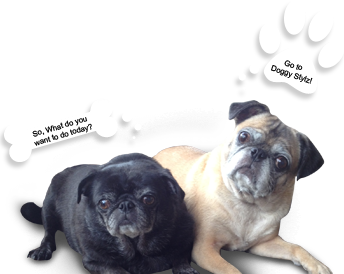 Your pet deserves the Doggy Stylz experience. My name is Ashley, I am the head groomer at Doggy Stylz Pet Grooming. I have had a great passion for all animals as well as a passion for creativity and art since I was a young girl. In deciding what I wanted to do for a living I put my two passions together and realized that by grooming I could work with animals and use my creativity to make each pet I groom a piece of art. Though no training or schooling for grooming is required to be considered a groomer, I decided to take the proper steps in learning how to groom by attending Merryfield School of Pet Grooming. During my time at Merryfield it became very clear that this was definitely the career for me. While I strive to make each and every pet beautiful my number one priority is to make your pet comfortable above all else. I pride myself in each groom that I do and make sure that each individual pet receives the undivided attention that they not only need but deserve. I look forward to meeting you and your furry friends and providing a personalized grooming experience that you will not forget. My name is Alyssa and I am a creative and passionate dog owner with a twelve year background in the pet industry including 6 years of grooming experience. As a lover of all animals big and small, I have had extensive experience handling animals, in particular dogs of all breeds. As a true professional, I have excellent hand-eye coordination and great attention to detail. I am committed to finding the most efficient ways of getting the job done right, done quickly, and done to exceed the expectations of all my clients while always keeping the safety and well-being of their pet in mind. I have a deep empathy for animals and can work with even the most difficult pets to ensure that the client receives they seek fom their grooming experience. I am part of the few people who are lucky enough to wake up everyday and do what I love. I am grateful everydaythat I get to spend my time with your fun loving fur babies while fulfilling my lifes passion.